Behringer Audio - Where to buy it cheap! Behringer - Imagine Music - Quality Products at Affordable prices! 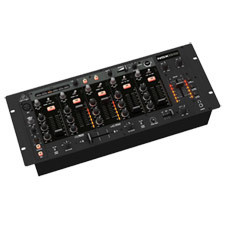 Behringer XENYX 502 - 5 Input 2 Bus Audio Mixer Behringer COMPOSER PRO-XL MDX2600 Expander/Gate/Compressor/ Peak Limiter Behringer 5-Channel DJ Mixer 19"
Powerful little mixer for a great little price. Interactive Reference-Class 2-Channel Expander/Gate/Compressor/ Peak Limiter with Integrated De-Esser, Dynamic Enhancer, Tube Simulation and Low Contour Filter. Behringer 5-Channel DJ Mixer 19"
We are now celebrating our 20th year anniversary! It all started 20 years ago on my kitchen table and I would have never thought that the �one-man kitchen company� would develop into one of the largest and most successful pro-audio companies. But whenever you celebrate you have to remember the people who have helped you get there as success is always a team effort. But I also want to thank you, our customer. You are the most important part of our Company and I like to thank you for supporting us in all these years. By buying our equipment you have not only helped us build this Company but also enabled other musicians to get affordable equipment. All of you are the real reason for BEHRINGER�s success and hence it is my personal goal to build an even closer relationship with you. I�d like to take this opportunity to share a little history with you. I was born 1961 in a sleepy little town in Switzerland called Baden, which is close to Zurich. I grew up in a musical family where my mother taught me to play the piano at the age of four. Her motivational skills were pretty impressive as she figured out that I would practice harder if she would feed me a grape for each scale I played on the piano. Later we upgraded to a piece of chocolate for each scale. My piano teacher quickly discovered that I had perfect pitch and gave me the nick name �The Ear� - the symbol that later became our company logo. My father was a nuclear physicist and church organ player who built the world�s first electronically controlled pipe organ in 1966. I was able to watch my father build this 1000-pipe monster in our house and every Sunday he would entertain our neighbors whether they liked the music or not. In my early years I repaired basically anything from coffee makers to TV sets in our neighbourhood and established a pretty professional repair shop in my bedroom, though my mother was not too excited about the solder residue that got burnt into the carpet. Later I stepped up to build my own synthesizer at the age of 16 which sadly never made it into mass production (maybe it's better that way).Uli's first synthesizer which he built at the age of 16. Obviously both music and electronics inspired me to later study classical piano as well as sound engineering. In 1982 I moved to Dusseldorf, Germany to take up studies at the Robert Schumann Conservatory. During my early years in Dusseldorf I was extremely passionate about playing piano and I practised up to 6 hours a day, simply with the goal to become the best pianist. One day I walked into a jazz club called Front Page where the owner Harald Rehbock sang the whole Sinatra repertoire. The place was also a mecca for all working musicians and I was so fascinated about the music, that I brought my cassette player with me, recorded all songs during several nights and practised non-stop. After three months, I got the job. Harald's passion for Sinatra was truly inspiring and it went that far that he would use the same microphone brand as "Old Blue Eyes" as well as sip the same whiskey. I played at the Front Page for several years, often 4 nights a week while studying at the same time. I greatly enjoyed these years but I also got to know the tough life of a working musician as sleep became a luxury. One day I played at a hotel lounge as a substitute for another pianist. At the peak of my musical career I was extremely excited to play any song a customer would request. One of the guests walked over and put $50 on the piano. "Can I request something?" he asked, "can you please stop playing the piano?" I left the money on the piano and walked out of the hotel. I knew this was not the career I wanted to pursue and it was time to shift focus in my life. Uli's first digital reverb survives to this day. At the university I studied, we had exactly two microphones for over 100 students and one had to queue up for several months to be able to use them. The mixing console and tape machines were under �constant maintenance� and made by a company called Telefunken, a brand which you can only find in museums nowadays. I realized that it was simply impossible to become a Sound Engineer without having my own studio. I desperately wanted to have my own equipment but as a student I couldn't afford to establish my own recording studio. One day I opened up a signal processor of an established brand and I realized that despite a selling price of $ 1,000, the components inside were just worth $ 100. I started to design equipment initially for myself but surprisingly I had immediately sold ten pieces to my friends and fellow musicians before I had even built them. I discovered that all my musician friends faced the same dilemma. There was simply a tremendous need for good and affordable equipment. It became my personal mission and later the Company�s philosophy to provide professional products at prices every musician could afford. This formed the BEHRINGER mantra �Double the Features at Half the Price� which literally created a new �Prosumer� or home-recording market that had not existed before. Over the last years we relentlessly invested in the best people, infrastructure and quality systems. Just look at our immense investments in BEHRINGER City, over 160 R&D engineers, cutting-edge infrastructure, etc. 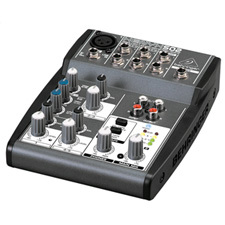 and you will understand that BEHRINGER has become a truly industry-leading enterprise. But I have never forgotten where it all started and why we are in business. Over the past twenty years we have received countless letters from musicians who thanked us for helping them to become a musician or recording artist because of our affordable equipment. This still is the major motivation to keep us going. Once I had set my mission to provide professional products at affordable prices, I realized that Europe was not the right place for manufacturing. I knew that most electronic components were coming from Chinese vendors and the cost of manufacturing in China was significantly lower than in Europe. It only made sense to get the production process as close as possible to the source of materials and labor. In 1990 I flew to Hong Kong to look for a contract manufacturer and was impressed that every question was answered with �mo mantai� which means �no problem�. Of course I quickly learned that these statements had little meaning and this was the beginning of an amazing journey that kept me in Asia for more than 12 years. We started working with contract manufacturers but it became clear that it was impossible to manage a relationship over 10,000 miles. While samples appeared perfect, we often received containers full of lemons. In 1997, I decided to relocate to Hong Kong in order to be close to the action as I realized that you can't run a business by fax. We opened an office to engage in sourcing as well as managing our contract manufacturers. Over the next few years we realized that it was impossible to manage contract manufacturers as quality and delivery was a constant problem. Attempts to improve manufacturing standards lasted only for the short period of the factory visit. One has to accept that contract manufacturers have agendas other than those of their clients, including switching client priorities or cutting corners on components simply to maximize profit. There is a general conflict of interest. In 2002 we finally decided to establish our own manufacturing facility in China which marked another milestone in our Company�s history. To describe all the challenges we faced in China would fill a book, and many books have been written on exactly that topic! If I had to put my experience into one sentence I would say: �If you don�t totally understand the Chinese culture you won�t succeed�. It took me twenty years to understand, respect and embrace the culture and its people. And I tell you that we have incredibly motivated and hard-working Chinese employees, that I am very proud of. These are the people who take great pride in assembling your BEHRINGER product. In addition to the equipment we manufacture, we now produce many of our own internal components such as our speakers down the pulp for the speaker cones. And we hand-pick through massive shipments of vacuum tubes to test and match them so every product sounds the same. We do this because two things matter most to us � achieving the highest possible quality and consistency as well as the lowest possible cost so you can enjoy an incredible product that does not break your bank. In fact I always encourage you to do a simple blind test and put our product next to one that costs 10 times the price - just listen and judge for yourself. By making this fundamental and substantial investment in �BEHRINGER City�, our state-of-the-art factory in Zhongshan (Guangdong province), we have now achieved total control over processes as well as aligning all employees to share the same goals and values. This makes all the difference as we do no longer rely on subcontractors and control our own destiny, which gives us a tremendous quality and consistency advantage over our competitors. Because we want you to enjoy every single BEHRINGER product that you use. But the project I am most excited about is called �The BEHRINGER University�, where we will be providing E-Learning tools so our people can study even from home to help them build careers within the Company. Whether people want to study management or learn a language, we will be offering courses for learning opportunities. Over the last few years I have developed a passion for coaching people, something I greatly enjoy. It�s incredibly rewarding to see people become confident, grow and succeed. There is nothing better than creating an infrastructure where people can succeed and then pumping 100,000 Volts of motivation into them. Shortly after I arrived in Dusseldorf I dated a beautiful girl who was also a great singer (guess that did the job) and whose father was the general manager of one of the most famous chocolate manufacturers in Germany called Storck. His name was Otto Pahnke. We would walk around his factory and I noticed that he knew 2,000 employees by name. Everyone adored him as he truly cared for his people. He was a clear marketing genius and every night at 7 pm the whole family had to sit down on the couch when he would comment on TV ads that were aired around that time. I got free marketing lessons and once I decided to start my business I naturally asked him for advice. I thought I was pretty smart when I came up with a name for my new company. I wanted to call it "SAL" which stood for "Scientific Audio Lab". After I revealed my idea to Otto, he just shook his head, looked at me and said "do you believe in your business?". I answered "of course I do" and he said "then your company has to carry your name". A few weeks later we went back to see him and we would go for our usual walk in the forest. I said to him that I wanted to call the company "BEHRINGER Professional Studio Equipment" as I thought it sounded impressive. Otto looked at me, just shook his head again and said "professional? You are a little fart, you are a one-man show and you want to compete with the big boys?". He continued "no way are you professional yet but I watched you how you carefully listen to your products when fine-tuning them. You have to call your company "BEHRINGER Specialized Studio Equipment" and add an ear symbol in your logo since you design your equipment by ear and not by cold specs". Otto Pahnke called in one of his graphic designers and said "draw this young man a stylized ear so he can use it for his company logo". I was now left with my name BEHRINGER, a drawing for a technical ear and I tried to figure out how to combine them. The only way it would work was to draw a triangle around those elements and that was the birth of the logo which until now is our Company trademark. Otto Pahnke has been a true mentor and he helped me getting this Company on its feet. Sadly he passed in 2005. He was a great man and I owe him a lot. Personally I believe in a healthy and simplistic lifestyle, I enjoy sports, yoga, dancing, Japanese food, wine and most of all good books. And whenever I have a chance I play piano for a glass of red wine. Someone asked me once "what's the best thing to be Uli Behringer" and I answered "that I can live my passion and surround myself with great people that are smarter than me". 20 years ago I started this Company because I wanted to become a Sound Engineer but could not afford good equipment. Until now my personal mission is still the same � to offer you the best equipment at fair prices so you can pursue the most beautiful passion of all - music. So what could possibly be more fun than the next 20 years to come? 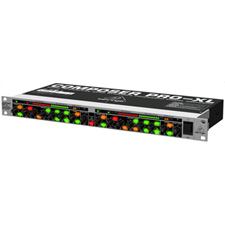 Behringer professional audio equipment can be used to describe any behringer audio equipment used or marketed for use as a sound application by or for a professional or professional purpose. This includes, but is not limited to, loudspeakers, microphones, mixers, amplifiers, wireless microphones, recording and playback devices such as dat or turntables, and in some cases telephony devices. Beringer Pro Audio equipment typically carries an implied elevation of manufacturing quality and features compared to regular or consumer level audio equipment (as is common with other types of professional equipment.) Professional audio application is commonly used to refer to professional audio engineering and operations, which can include but is not limited to broadcasting radio, mixing boards, audio mastering, sound reinforcement such as a concert, DJ performances, Audio Sampling , public address, surround sound movie theatres, and in some cases piped music application. Both terms imply involvement of audio engineering at an industrial(occupational) level as opposed to a personal level through headphones. For example, a regular personal use microphone such as one in a mobile phone would have a very limited dynamic range focused on speech, whereas a pro audio condenser microphone would have a much wider dynamic range to capture quiet whispers or loud musical instruments such as a guitar running on a effects pedal to produce guitar effects. A regular loudspeaker for home use may handle 100 watts rms at a given signal-to-noise ratio, whereas a pro audio loudspeaker such as one used for concert venues may handle 1000 watts rms or more, or a studio use speaker may operate at a significantly more efficient signal-to-noise rating at the same 100 watts as the home speaker using a powered mixer. Specifications alone do not inherently include or exclude equipment for consideration as professional audio level, but are used by most publications and documentation as a starting point of reference. Are you looking for keyboards? Cheap Band Gear also sells a keyboard amp, speakers, signal processors, and an equalizer to optimize your experience. A Behringer keyboard amplifier produces all the power you need for your pa speakers. Be sure to get a compressor or limiter to keep your system in check. When shopping for cheap behringer products, visit www.cheapbandgear.com for all your pro audio needs. Whether you need a guitar amp, bass amp, bass amp head, keyboard amp, or several guitar amps, Cheap Band Gear has all Behringer quality.